Gene Haas and Tony Stewart’s Stewart-Haas Racing (SHR) organization is still considered the new kid on the block compared to the other Monster Energy NASCAR Cup Series teams it competes against each weekend. So, it might be surprising to learn SHR is celebrating its 10th anniversary in 2018 and will mark its 1,000th Cup Series start when all four drivers fire-up their Roush-Yates powered Fords for the April 8 race at Texas Motor Speedway in Fort Worth. Since its first season in 2009, the SHR driver lineup has at one time included Stewart, Kevin Harvick, Kurt Busch, Clint Bowyer, Aric Almirola, Ryan Newman and Danica Patrick on a full-time basis while drivers like Mark Martin, Jeff Burton, Brian Vickers, Regan Smith, Ty Dillon, Austin Dillon and Max Papis have served as substitute drivers. Harvick and Stewart won championships at SHR in 2014 and 2011, respectively, while five drivers have divvied up SHR victories: 17 for Harvick, 16 for Stewart, five for Busch, four for Newman, and Clint Bowyer added his name to the list Sunday at Martinsville (Va.) Speedway, notching his ninth career victory and first for SHR. The 1,000 starts might seem like a lot, but Hendrick Motorsports and Roush-Fenway Racing own more than 3,000 starts each while Joe Gibbs Racing has more than doubled SHR’s total. SHR’s winning ways began in May 2009, when Stewart won his only NASCAR All-Star Race at Charlotte (N.C.) Motor Speedway. Since then, SHR has gone on to accumulate 43 points-paying victories, three non-points victories, 199 top-fives, 378 top-10s, 35 poles and two championships in 996 starts. SHR owns victories at every current track except Kentucky Speedway in Sparta and Talladega (Ala.) Superspeedway. SHR isn’t done. In fact, it might be at its best right now. In 2018, SHR Fords have led 723 of a possible 1,811 laps and won four of the first six races. All four SHR drivers are in the top-11 in the driver standings. Bowyer will drive the No. 14 Mobil 1/Rush Truck Centers Ford at the 1.5-mile Texas oval. Like SHR, both Mobil 1 and Rush Truck Centers cite longevity as keys to their business success. Mobil 1 Annual Protection ultimate full synthetic motor oils feature advanced lubricant technology that provides proven protection for 20,000 miles or one full year between oil changes. Rush Truck Centers has transported SHR’s racecars to the track since 2009 and serviced its customers for more than 50 years. 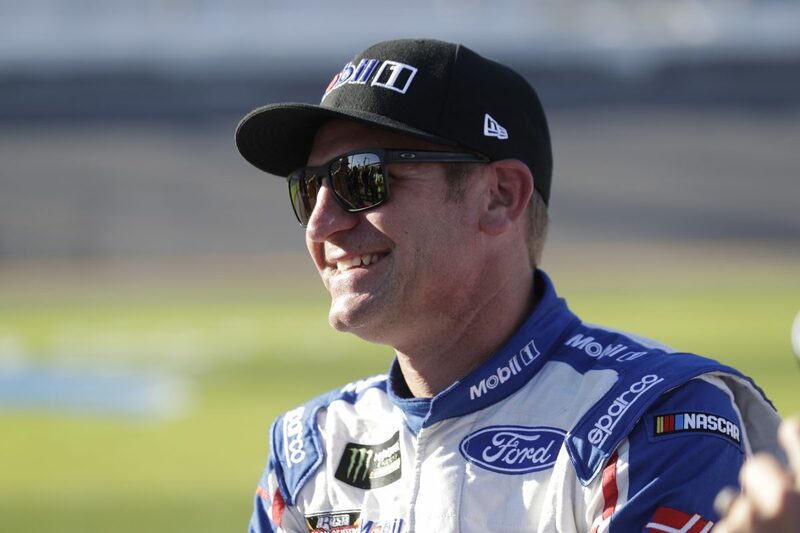 Bowyer hopes to take both Mobil 1 and Rush Truck Centers to victory lane at the 1.5-mile Texas oval, where he has posted three top-five finishes and 10 top-10s in 24 races. In 2006, Bowyer won a Camping World Truck Series race at Texas. In 2017 Cup Series competition for SHR, Bowyer started third at Texas in April and raced as high as fourth in the final stage before finishing 11th. In October he spent 30 laps behind the wall, ruining what was shaping up to be a top-10 finish. What are your thoughts on Texas? What role does Mobil 1 play at SHR?